Handmade, fused glass jewellery. Items include pendants, earrings and cufflinks. 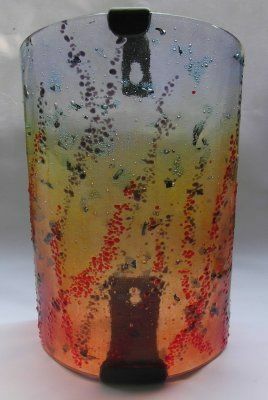 Glass pieces are handmade. The ring settings are all solid sterling silver and adjustable. All jewellery is supplied in a presentation box. 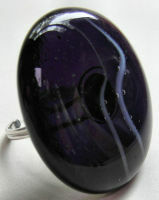 All pendants are handmade, fused glass and each piece is unique. The findings and chains are silver plated, unless otherwise stated. Chains are 45cm in length. Jewellery is supplied in a presentation box. All the earrings are handmade, fused glass and each piece is unique. The findings used are hypoallergenic, unless otherwise stated. All jewellery is supplied in a presentation box. Handmade, fused glass cufflinks. Each set is silver plated, unless otherwise stated. All cufflinks are supplied in a presentation box. These jewellery sets of pendants, broaches and earrings are handmade fused glass and each piece is unique. All of the findings and chains are silver plated unless otherwise stated.